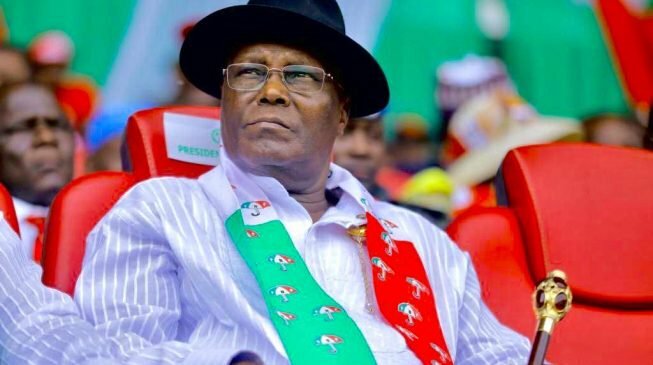 The Buhari Media Organisation has criticized the presidential candidate, Atiku Abubakar and the Peoples Democratic Party (PDP) over their support for the former Chief Justice of Nigeria, Walter Onnoghen. BMO In a statement signed by its Coordinator, Niyi Akinsiju and Secretary, Cassidy Madueke, asked PDP and its leaders to go and hide their faces in shame after Justice Onnoghen tendered his resignation letter over corruption allegations. The statement reads: “Nigerians all saw the manner PDP and its leaders, including its former Presidential candidate Atiku Abubakar, ran from pillar to post before the election in a bid to defend Justice Onnoghen. “The party leaders even suspended their flagging Presidential campaign at that time for 72 hours! Just to be seen to be fighting perceived injustice, but discerning Nigerians knew they were playing to the gallery. “They were quick to shout political witch-hunt to the high heavens and that was in spite of the overwhelming evidence which they insisted on not interrogating because the CJN’s suspension tallied with the wrong impression of a dictatorial government that PDP was keen on selling to the electorates in the run up to the election. “We were also not surprised that another key PDP leader, the usurper Senate President Bukola Saraki, attempted to drag the Senate into it until the All Progressives Congress (APC) caucus which had a clear majority shot it down. “We won’t also forget PDP governors in the South-South region in the hall of infamy, especially as they encouraged the man who was at the time the custodian of the nation’s law not to appear before the Code of Conduct Tribunal (CCT). According to them, President Muhammadu Buhari also deserves an apology from a segment of the civil society who castigated him for suspending Justice Onnoghen on the basis of a valid order from the CCT. The group added: “We at BMO have every reason to demand an apology on the President’s behalf from everyone, including the latter-day rights activists who were actually paid hacks, and the real ones who failed in their duties to hold people in government accountable. “These are the people that used the traditional and social media to whip up enough sentiments that some members of the international community bought the lies and took the unusual step of upbraiding the Presidency in a move that amounted to interference in the country’s internal affairs.